The food truck market reached $1.2 billion in sales in 2015. There are over 4,000 food trucks across the United States with no signs of decline as the annual growth rate reached 12.4%. But the success of food trucks requires ingenuity on the part of creating a unique menu. On top of that, the food truck business requires a lot of devoted hours. On the other hand, coffee trucks remove the variability of success from a unique food menu, thus simplifying the steps needed to succeed. 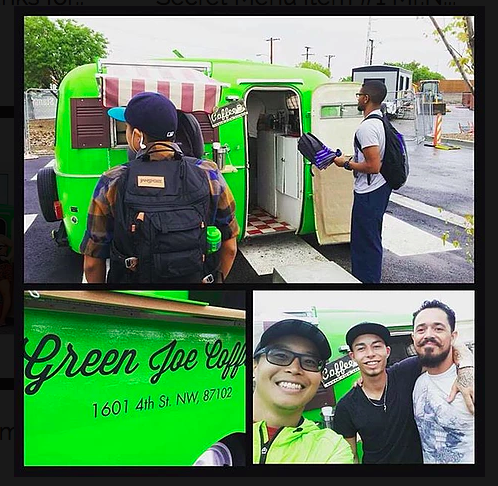 Vincent, the founder of Green Joe Coffee Truck, successfully built a coffee truck business on the side while working a demanding 70-80 hour week corporate job. Now, he makes over $100,000 from the coffee truck while only working part-time hours. 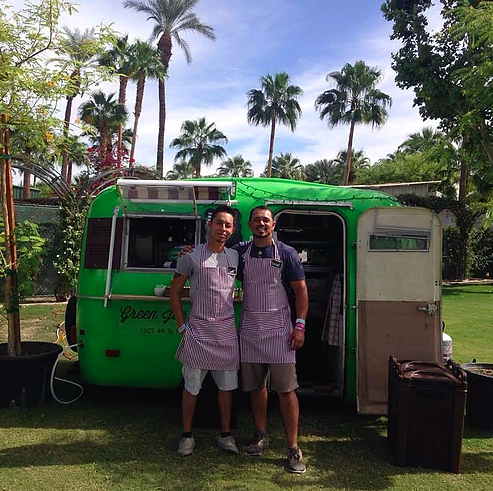 He shares his insight below on how you can start a coffee truck business, profitability and lifestyle. For details on starting a coffee truck, I highly encourage you to pick up his ebook to learn the detailed and proven approach based on his experience. What is the best thing about running a coffee truck business? How much can you make from a coffee truck? How much are you making now per year compared to in your employment? Now we are getting down to the meat! Last year we grossed just over 100k between all businesses. Now, with an employee and a few investments, it probably left me with about 60k. Not bad for part time hours! How much does it cost to start a coffee truck? More over at Green Joe website! What is the blended margin on a cup of coffee? Anywhere from 65%-75%. I buy locally so it affects my margins, but I’m happy knowing I help the community. Cheap isn’t always better. It’s been a year and a half since we’ve stepped foot in Walmart. We’ve manage to keep the vast majority of our business local. Coffee = Community. We choose to keep people over profits. How many coffees do you sell a month and how much income does that equal to per month? Each month is different. An okay month is 6k. A great month is 15k! How much did you spend on advertising initially? How much do you spend on advertising now? We spend maybe $100 a month on advertising. We do a lot of social media. We also do grassroots advertising. Good old cold calls and flyers. I use Google pay per click for the ebook. Isn’t there a lot of competition in the coffee space nowadays? There is! Which means it’s a thriving business!!! Competition is not always a bad thing. There is very little competition in disposable lighter repair services because it’s a service that no one needs. But everyone drinks coffee! Do you need any relevant experience? Experience always helps. But is it needed? I didn’t have any and here I am. I always say that as long as you know what a bad cup of coffee taste like, and you don’t serve it, you’ll be good to go. The greatest asset I think a person can have is self assessment. Let the ego go. Look at yourself and see where you’re going wrong and learn. It’s not just about coffee. Its about customer service, treating your employees right, having a good tax strategy, closing catering deals. There’s a lot to learn, which means there will be a lot of mistakes. Try to take each one as an educational experience. Observe, Test, Re-observe. Like anything else in life, knowing is half the battle. Does this business work in any city? You have to go where the people are. I like to go to places where there is no parking, because no parking equates to foot traffic. So think about your city, where you have difficult time finding parking and I bet you’ll find a coffee shop thriving there. Coffee trucks are no different. I do well at festivals, but they often have fees and I often have to hire for them. So, my overhead is higher. I workout at a crossfit gym and we have little fitness competitions. I’ve found I can do equal if not sometimes better at these competitions than at big festivals. The reason why: Low to no overhead, multiple drinks in one day per person and no coffee competition. So it really depends on the situation. You get the swing of it after a few months, how to make good decisions. Sometimes gigs are great. Sometimes they fall flat. That’s the nature of the business. Can you share an excerpt from your ebook? The greatest piece of advice I can give a Future Coffee Truck Owner is to get your mind right. Many times I see people self-defeat. They say to themselves, “I can’t because….”. There’s usually an array of excuse that come after; because I don’t have the time, I don’t have the money, I don’t have the experience…What ever your excuse may be, you have to remember, it is just that: An Excuse. The old saying holds true: If there is a will, then there is a way. For example, before my grand opening, I had no barista experience other than my home french press (which I still argue is the best experience you can have). I had my trailer stolen. The original truck I bought to pull the trailer seized its engine. I literally melted my first generator. Challenge after challenge, hurdle after hurdle I had to overcome each of these obstacles. The only thing that held me together was the belief that I could eventually walk on my own entrepreneur two feet. Fall after fall, crawl after crawl, I kept getting up. So, I say unto you Future Coffee Truck Owner, get your mind right. You can. Thanks for your comment, Ross! Go over to http://www.greenjoecoffeetruck.com/ where you can find a guide on how to start a coffee truck. Vincent, the founder, is a great guy!